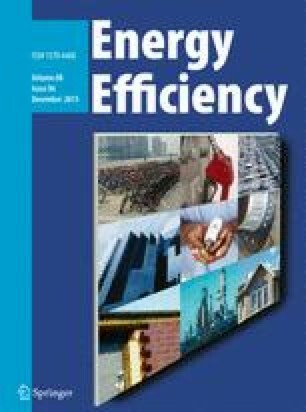 This paper investigates the impact of government ideology on energy efficiency using data for a panel of 23 OECD countries over the 1980–2013 period. With dynamic panel data method applied, our evidence suggests that government ideology is a significant determinant of energy efficiency. Specifically, we show that left-wing parties are associated with energy efficiency improvements. Overall, our results are robust to the two measures of energy efficiency variables, alternative measures of government ideology variables, using annual and 3-year averages of the data, the inclusion of economic and political variables, and to model specifications. The authors are grateful the comments for editor and three anonymous referee for our paper. This research is partially supported by the College of Management, National Sun Yat-sen University, Taiwan under grant CMNSYSU-SRS-2013-04. BP Statistical Review of World Energy. (2013). BP Statistical Review of World Energy June 2013, London. http://www.bp.com/content/dam/bp/pdf/statistical-review/statistical_review_of_world_energy_2013.pdf.